DK Oyster can take your dining experience to the next level of exclusivity and elitism with its splendid private rooms. An entire restaurant devoted exclusively to you and your company with personalized service and impeccable tastes is the epitome of opulence and leisure. Create a special private dinner for any occasion in the elegant private rooms of the DK Oyster and celebrate undisturbed with your friends and loved ones, along with exquisite tastes and an endless flow of bubbly champagne. 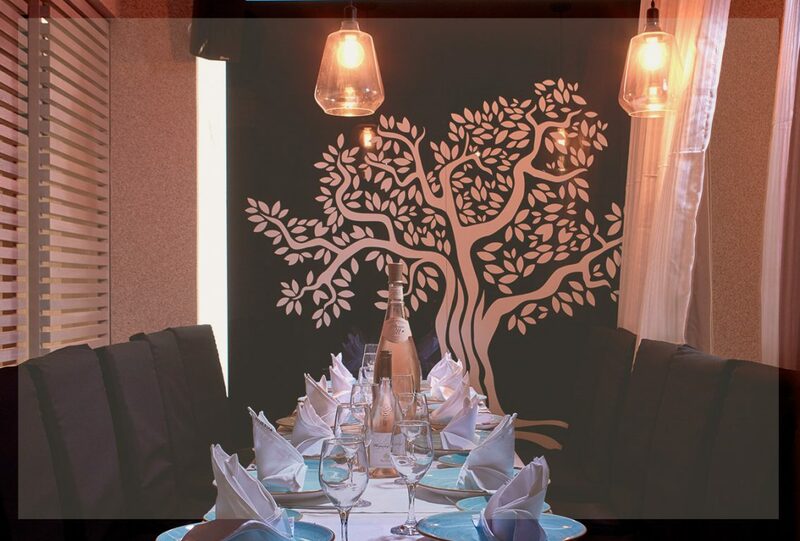 Create your very own private dining affair with the help of our experienced organizers; select from our wide array of superb dishes the ones that appeal to you the most, customize the menu, the drinks and the décor and revel in the fulfillment of a private dinner that is just yours and just perfect! Your very own private space can host anything you can think of from a romantic candlelit dinner for two to a corporate dinner, a bachelor/bachelorette party or just a spectacular night out with friends. The perfect way to impress your guests can be found on the cosmopolitan beach of Platys Gialos and the exclusive private rooms of the DK Oyster restaurant and bar. Celebrate any special occasion in luxury and style, in the magnificent DK Oyster restaurant and bar, a venue designed with elegance and inspiration for hosting spectacular events. DK Oyster can take your dining experience to the next level of exclusivity and elitism with its splendid private rooms. An entire restaurant devoted exclusively to you and your company with personalized service and impeccable tastes is the epitome of opulence and leisure.